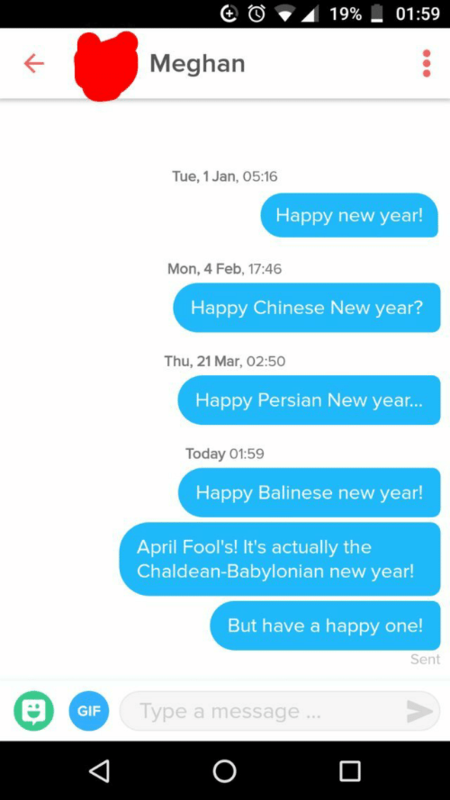 Italian (Language), Che, and Bene: 12/feb/2017 alle 17:47 Tutte che volete l'uomo palestrato.. io se dovrei scegliere preferirei un uomo che sa scrivere bene. 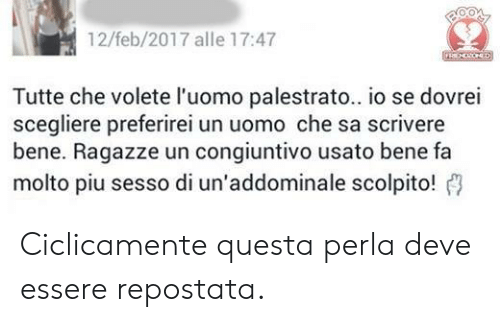 Ragazze un congiuntivo usato bene fa molto piu sesso di un'addominale scolpito! 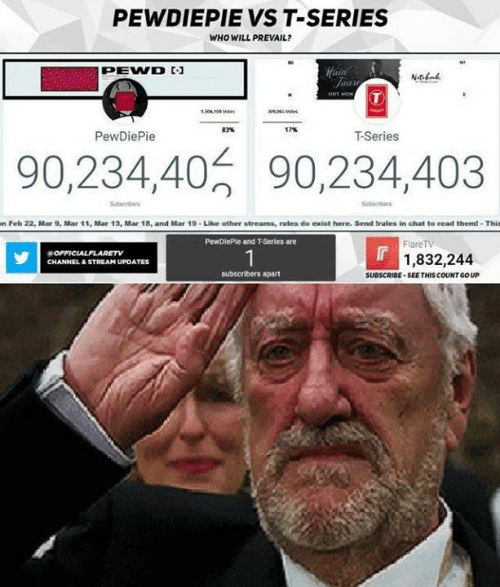 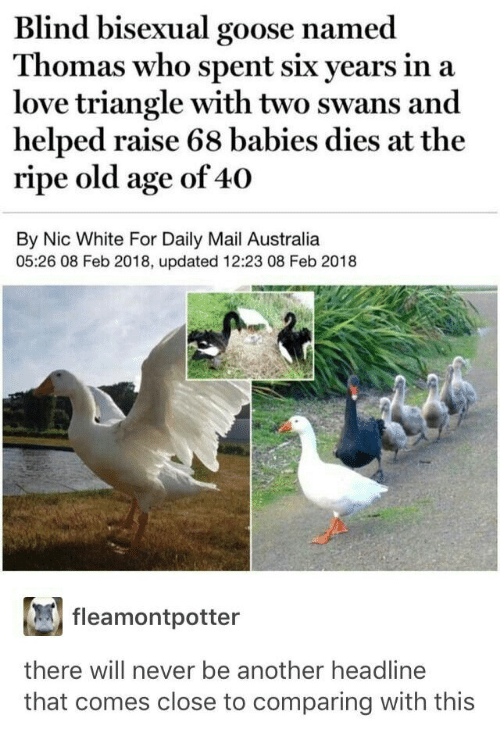 Ciclicamente questa perla deve essere repostata. 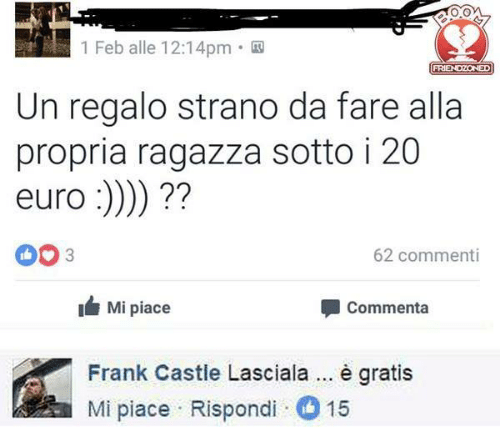 Ciclicamente questa perla deve essere repostata. 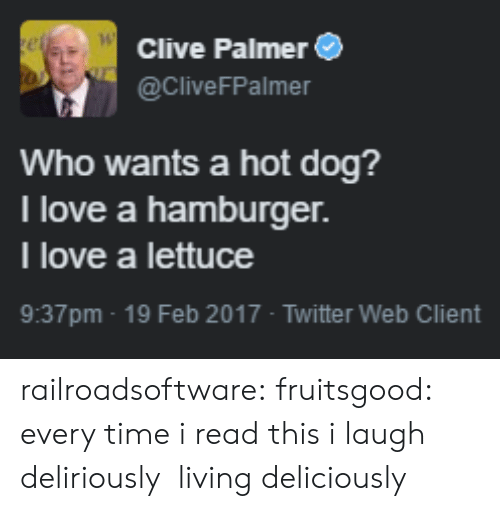 Bad, Microsoft, and Arizona: Have you ever seen code so bad it made you laugh? 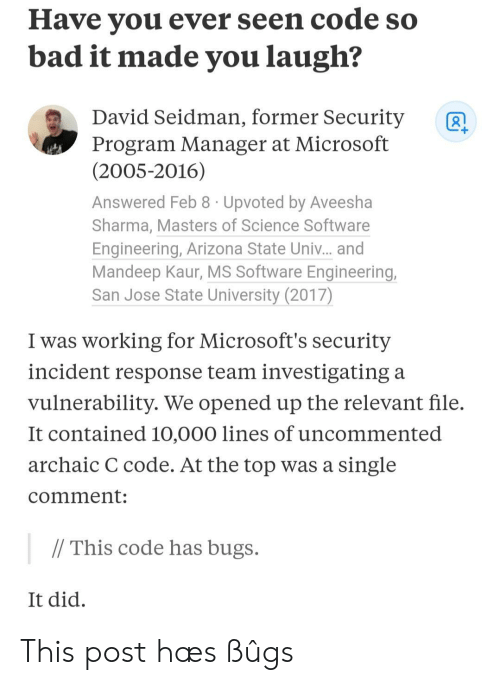 David Seidman, former Security Program Manager at Microsoft (2005-2016) Answered Feb 8 Upvoted by Aveesha Sharma, Masters of Science Software Engineering, Arizona State Univ... and Mandeep Kaur, MS Software Engineering, San Jose State University (2017) R I was working for Microsoft's security incident response team investigating a vulnerability. 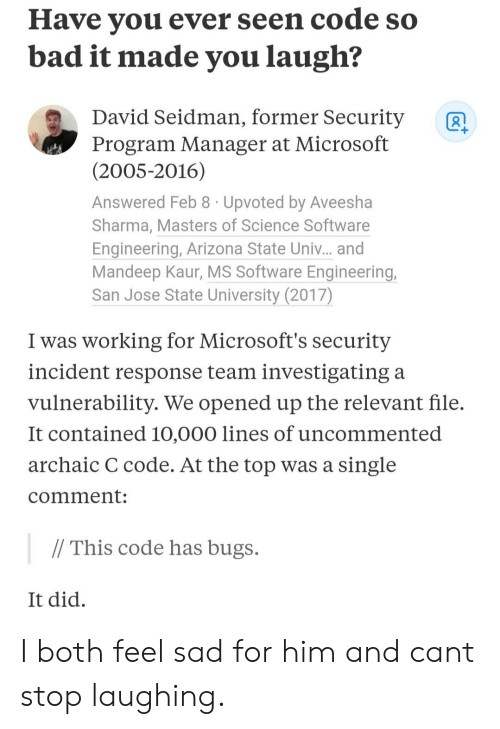 We opened up the relevant file It contained 10,000 lines of uncommented archaic C code. 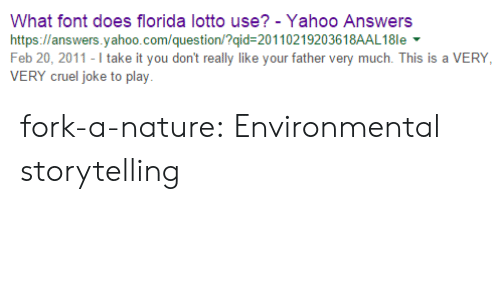 At the top was a single comment: / This code has bugs. 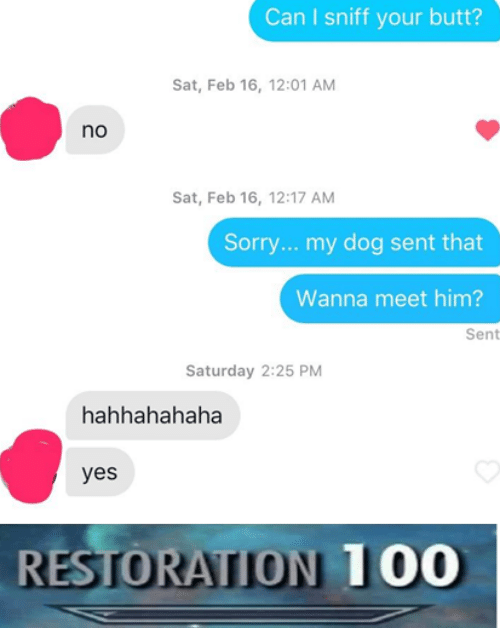 It did I both feel sad for him and cant stop laughing. 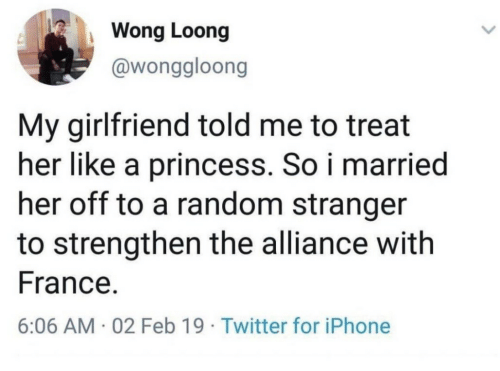 I both feel sad for him and cant stop laughing. 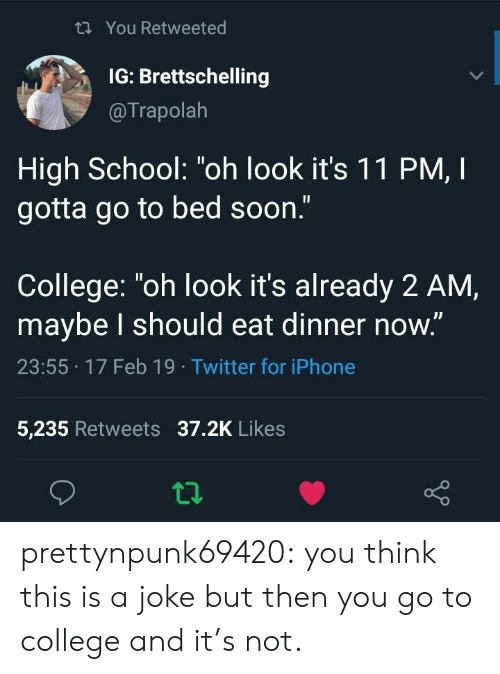 College, Iphone, and School: th You Retweeted IG: Brettschelling @Trapolah High School: "oh look it's 1 1 PM, I gotta go to bed soon." 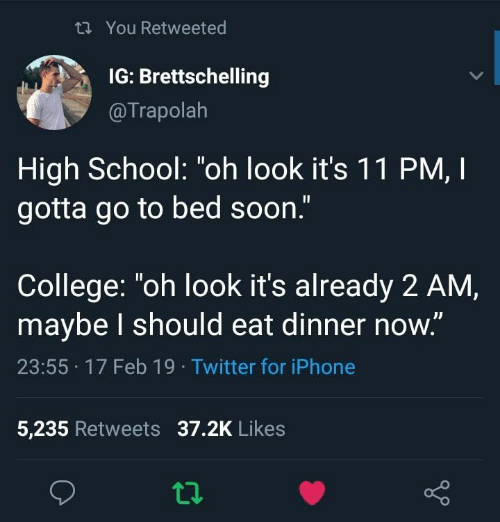 College: "oh look it's already 2 AM, maybe l should eat dinner now." 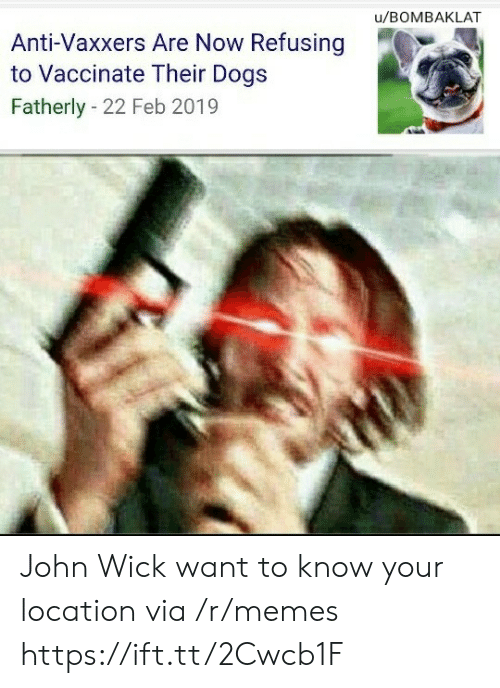 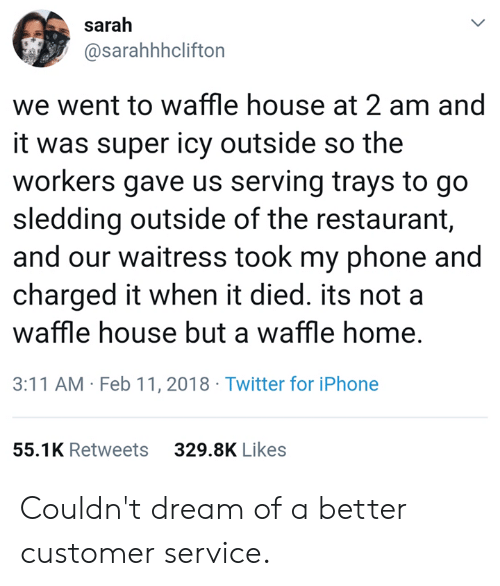 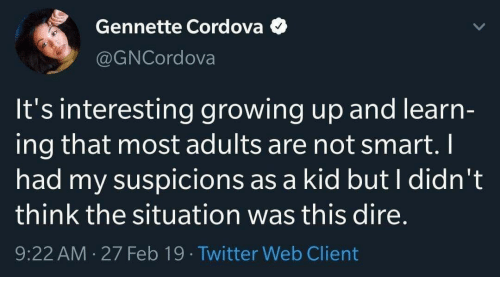 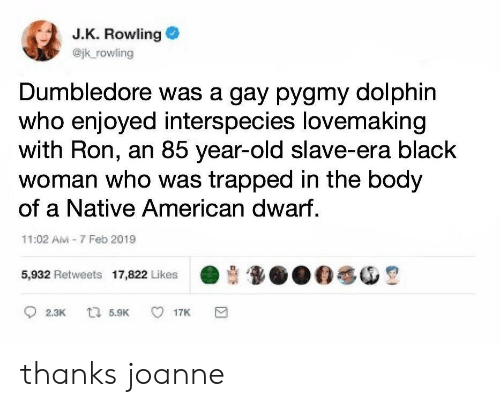 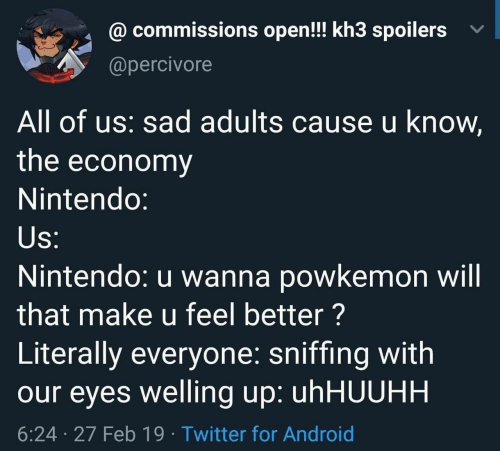 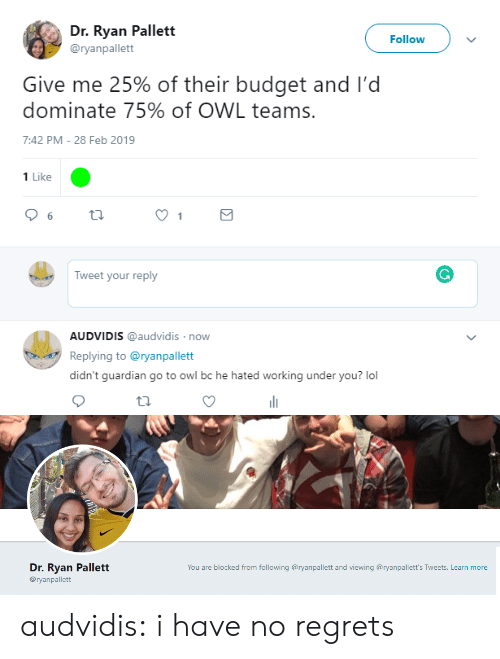 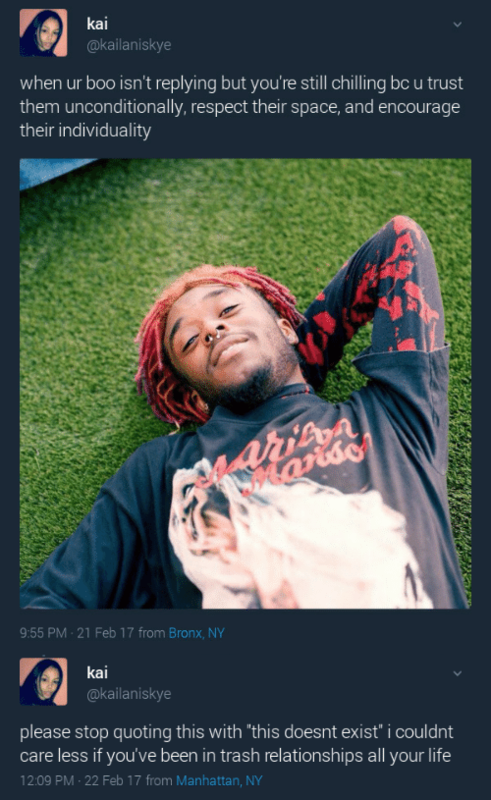 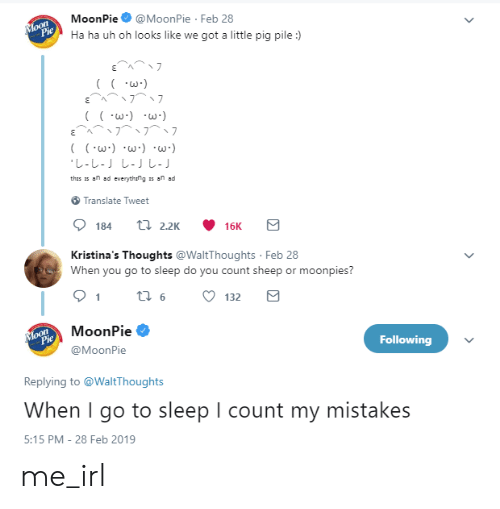 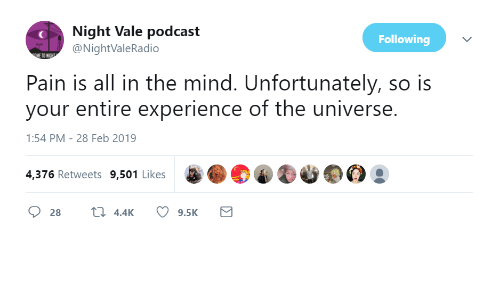 23:55 17 Feb 19 Twitter for iPhone 5,235 Retweets 37.2K Likes prettynpunk69420: you think this is a joke but then you go to college and it’s not. 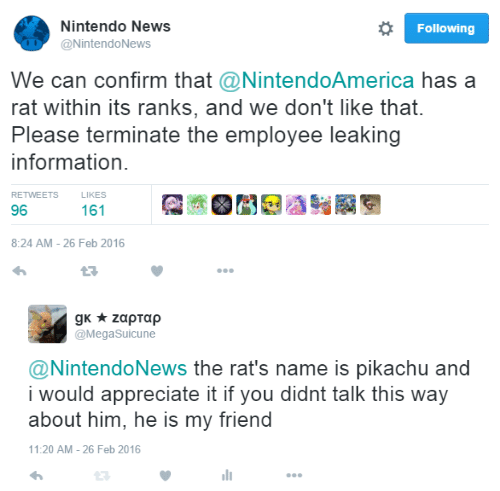 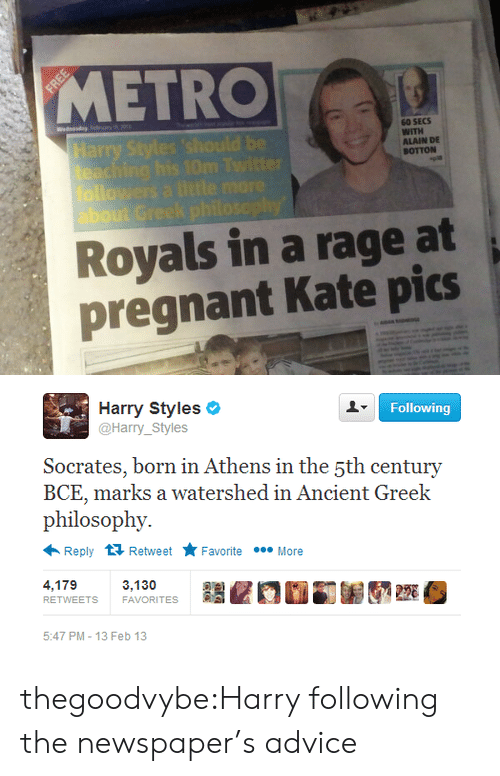 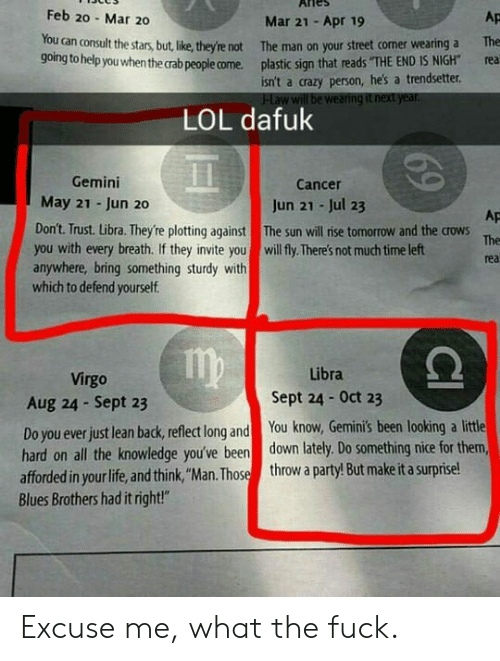 prettynpunk69420: you think this is a joke but then you go to college and it’s not. 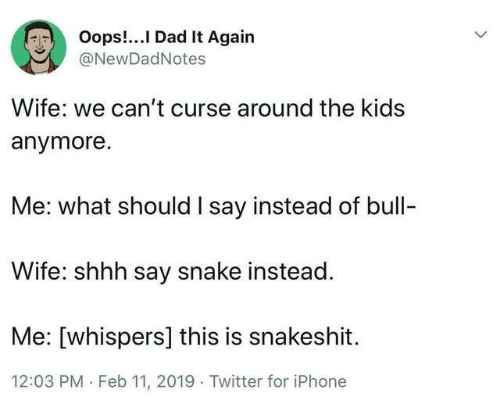 Dad, Iphone, and Twitter: Oops!...I Dad It Again @NewDadNotes Wife: we can't curse around the kids anymore Me: what should I say instead of bull- Wife: shhh say snake instead Me: [whispers] this is snakeshit 12:03 PM Feb 11, 2019 Twitter for iPhone Don’t curse around the kids! 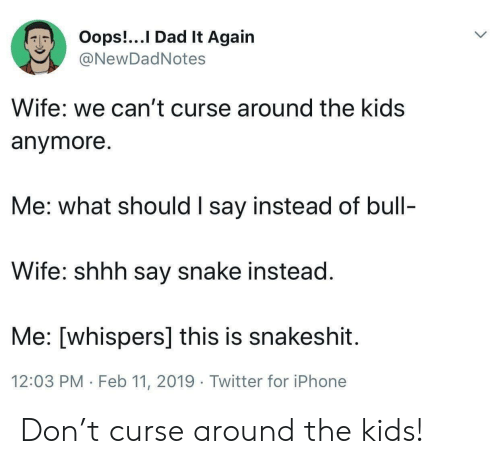 Don’t curse around the kids! 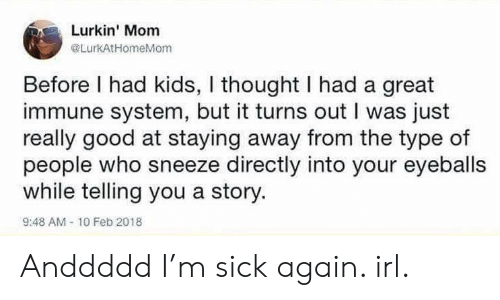 Good, Kids, and Sick: Lurkin' Mom @LurkAtHomeMom Before I had kids, I thought I had a great immune system, but it turns out I was just really good at staying away from the type of people who sneeze directly into your eyeballs while telling you a story. 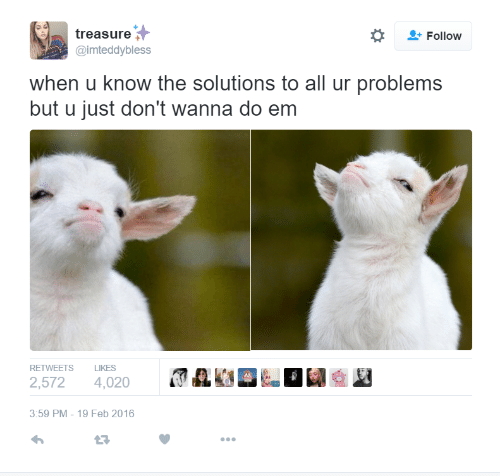 9:48 AM 10 Feb 2018 Anddddd I’m sick again. 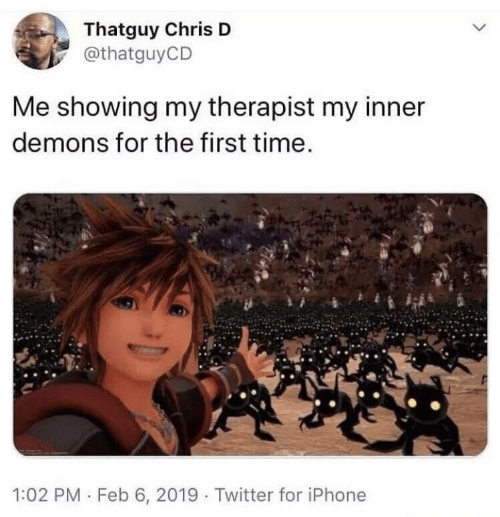 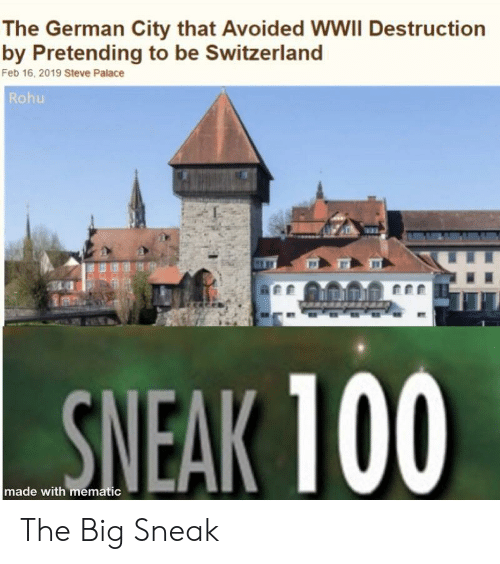 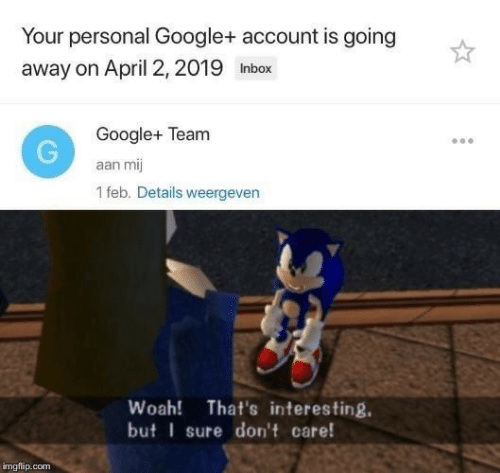 irl. 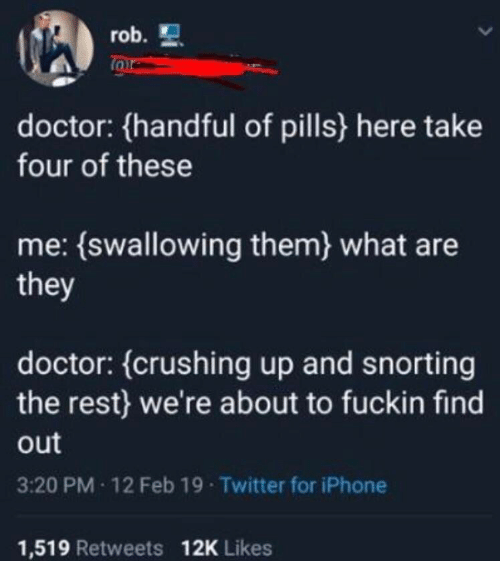 Anddddd I’m sick again. 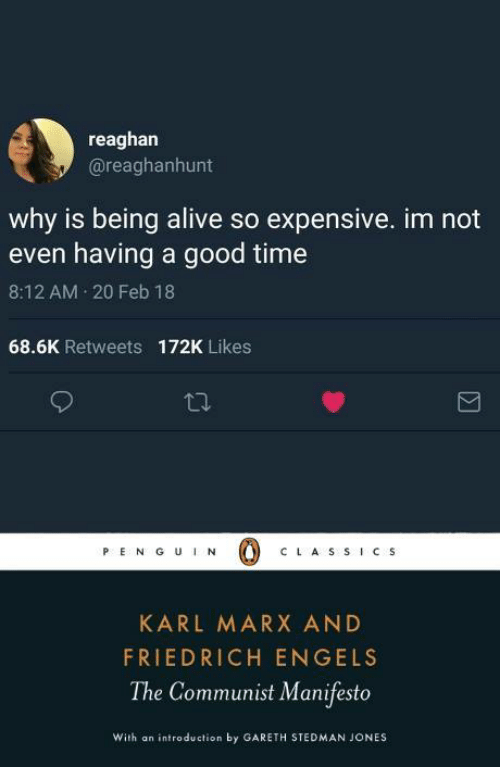 irl. 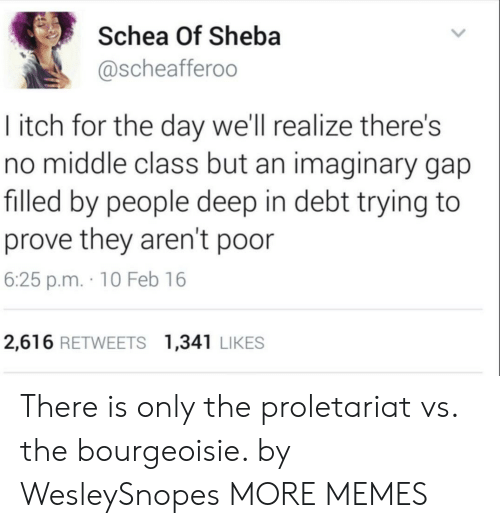 Bourgeoisie, Gap, and Deep: Schea Of Sheba @scheafferoo I itch for the day we'll realize there's no middle class but an imaginary gap filled by people deep in debt trying to prove they aren't poor 6:25 p.m. 10 Feb 16 2,616 RETWEETS 1,341 LIKES There is only the proletariat vs. the bourgeoisie. 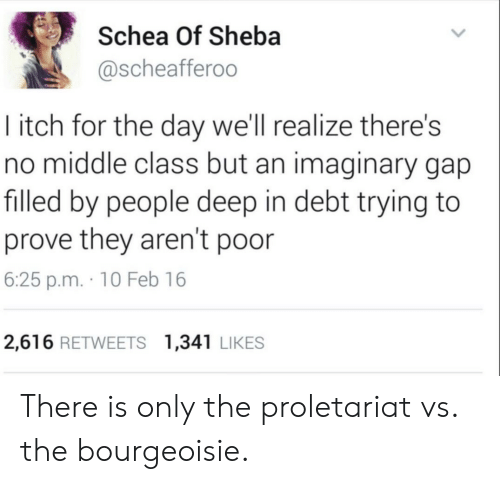 There is only the proletariat vs. the bourgeoisie. 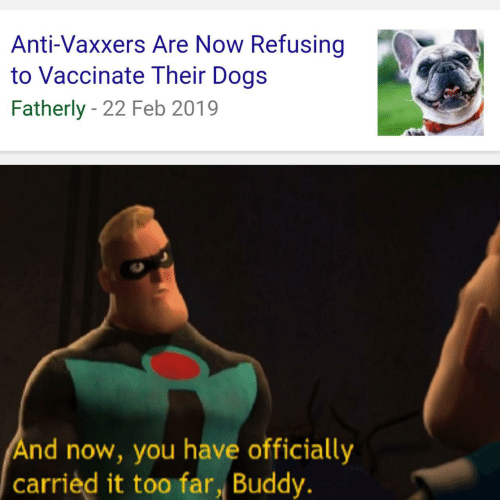 Dogs, Anti, and You: Anti-Vaxxers Are Now Refusing to Vaccinate Their Dogs Fatherly - 22 Feb 2019 nd now, you have officially carried it too far, Budd y. 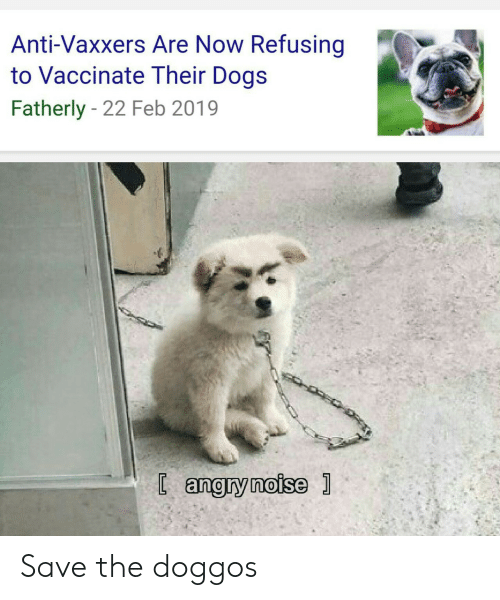 Dogs, Anti, and You: Anti-Vaxxers Are Now Refusing to Vaccinate Their Dogs Fatherly - 22 Feb 2019 And now, you have officially carrièd it too far, Buddy. 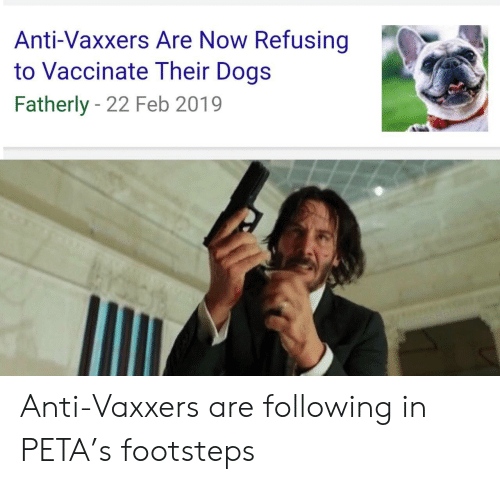 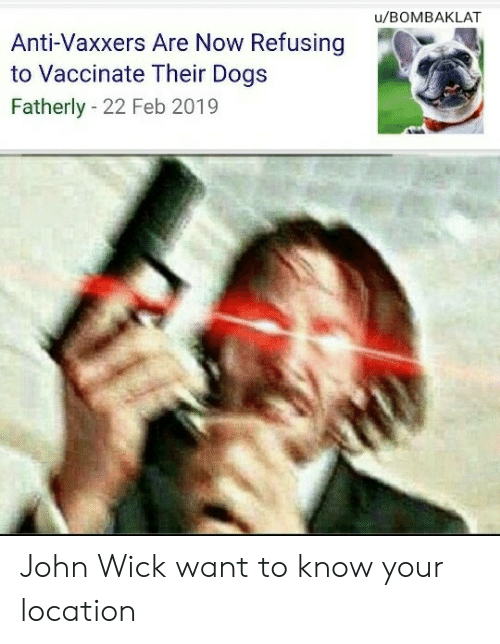 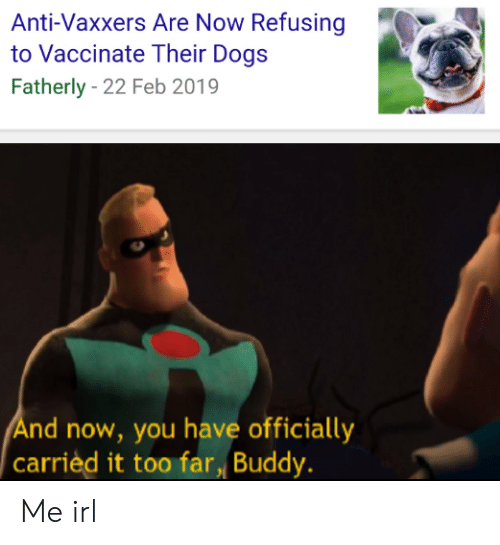 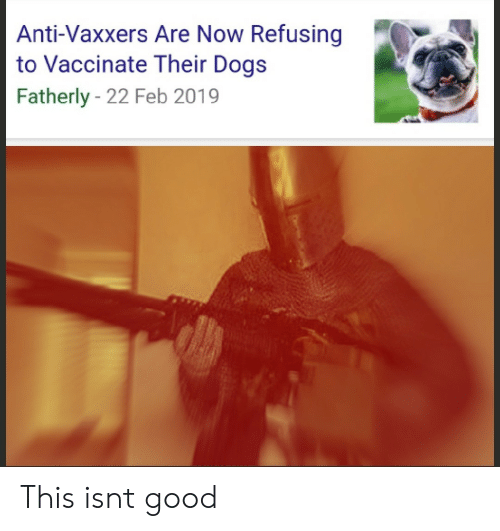 Dank, Dogs, and Anti: Anti-Vaxxers Are Now Refusing to Vaccinate Their Dogs Fatherly - 22 Feb 2019 nd now, you have officially carrièd it too far, Buddy.